HERTSMI-2 is a DNA-based MSqPCR test that analyses the dust sample provided for 5 particular moulds. These moulds are known as the "Big 5". HERTSMI-2 is an acronym for Health Effects Roster of Type Specific Formers of Mycotoxins and Inflammagens - 2nd Version. The HERTSMI-2 score provides an indicator for people suffering from Chronic Inflammatory Response Syndrome or CIRS, as to whether or not it is safe for them to occupy their home without recurrence of symptoms. 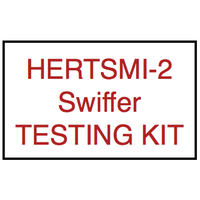 How does HERTSMI-2 Differ from ERMI Testing ? HERTSMI-2 Testing looks at 5 moulds, ERMI looks at 36 mould species. The ERMI gives the result as a easy to understand comparison to an established database of water damaged buildings and non water damaged buildings. 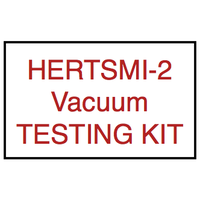 As HERTSMI-2 Analyses for 5 moulds and is cheaper to do the analysis compared to 36 for the ERMI. Which Mould Species are Identified in HERTSMI-2? How Can the HERTSMI-2 Score be Used ? A HERTSMI-2 score <10 is indicative that the building is safe for re-occupancy.